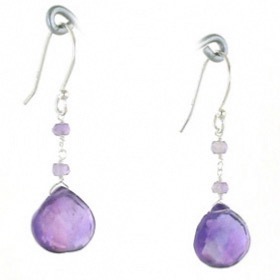 All our amethyst earrings are set in sterling silver and feature faceted stones as well as polished cabochons. 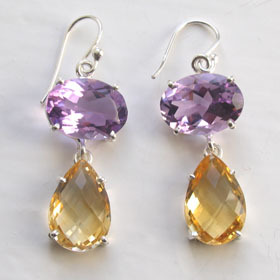 The amethysts vary in colour from deep purple to lavender. 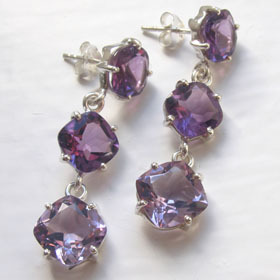 Amethyst is one of the most popular semi-precious gemstones. 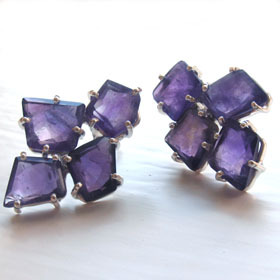 Explore our amethyst studs, amethyst drops, stud and droplet and amethyst statement earrings. 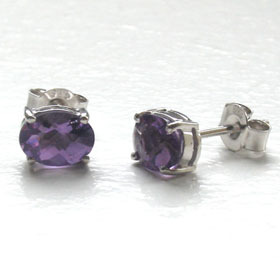 Coordinate with an amethyst necklace, amethyst pendant, amethyst bracelet, amethyst ringor cufflinks. 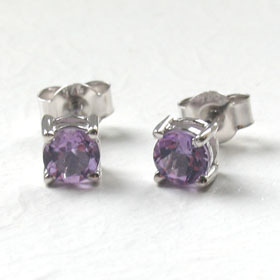 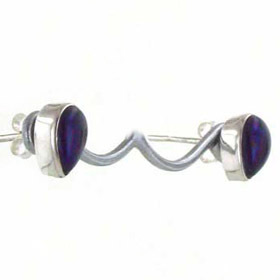 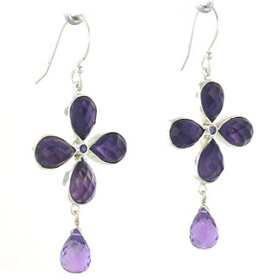 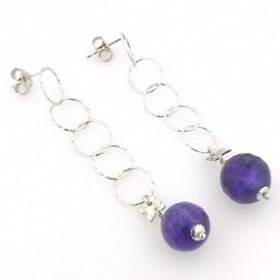 Buy amethyst silver earrings for a February birthday. 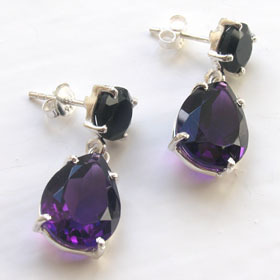 Amethyst & black onyx earrings set in sterling silver. 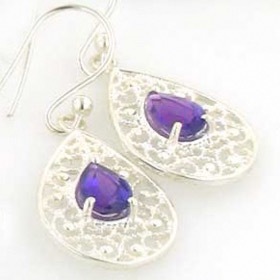 Amethyst droplet earrings set in sterling silver. 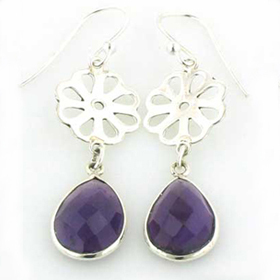 Amethyst drop earrings in sterling silver. 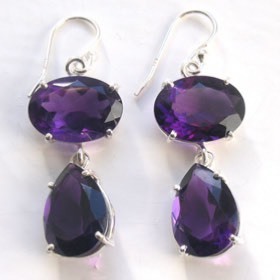 Amethyst and sterling silver earrings. 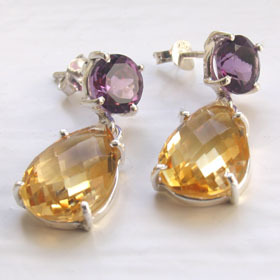 Citrine & amethyst earrings set in sterling silver.